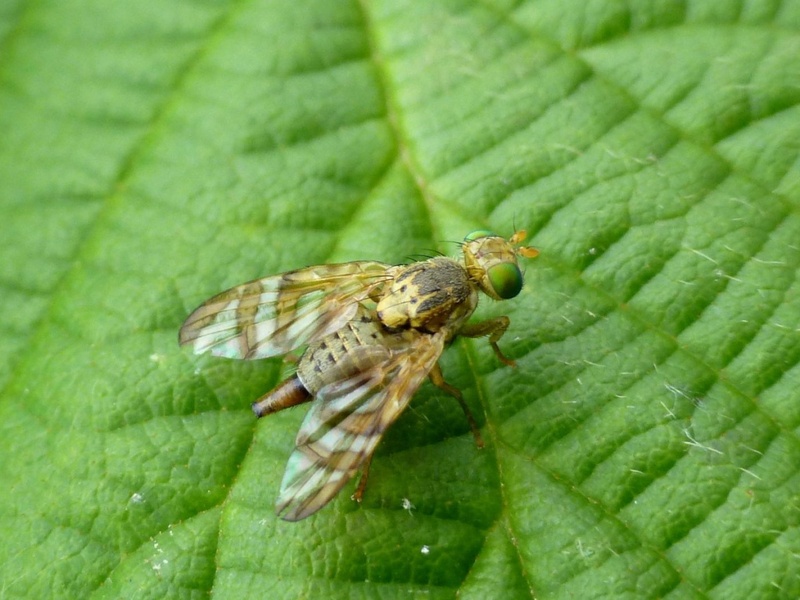 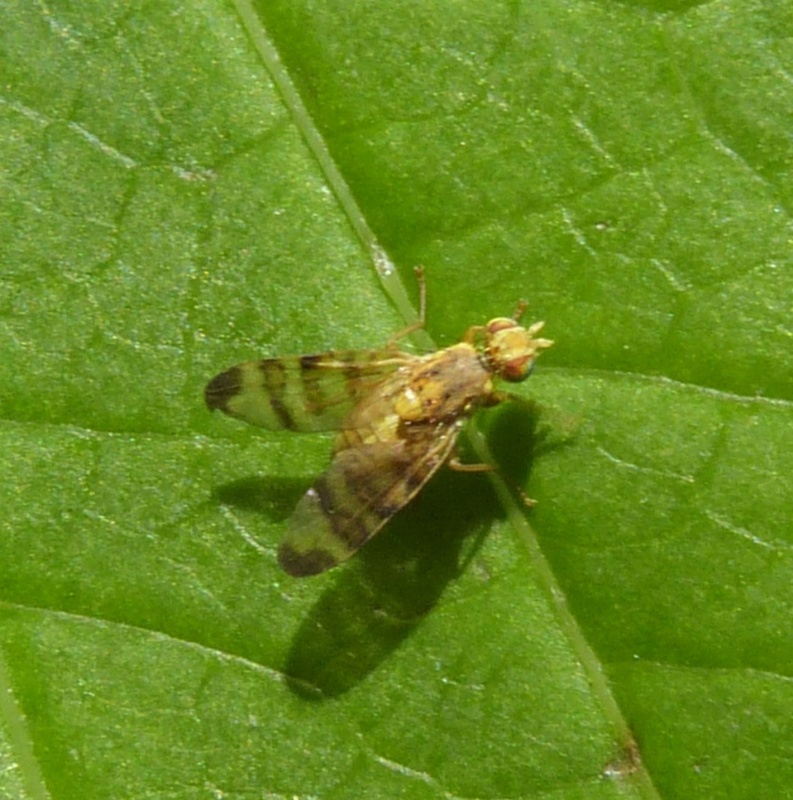 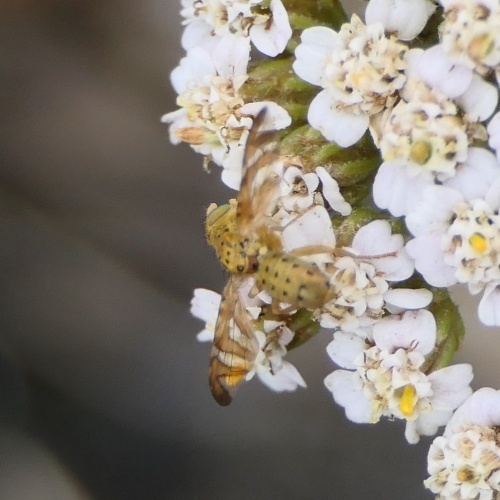 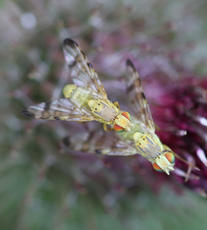 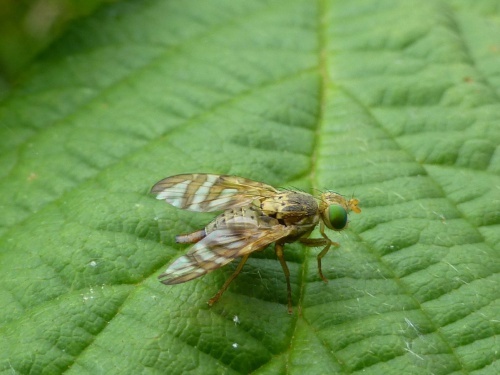 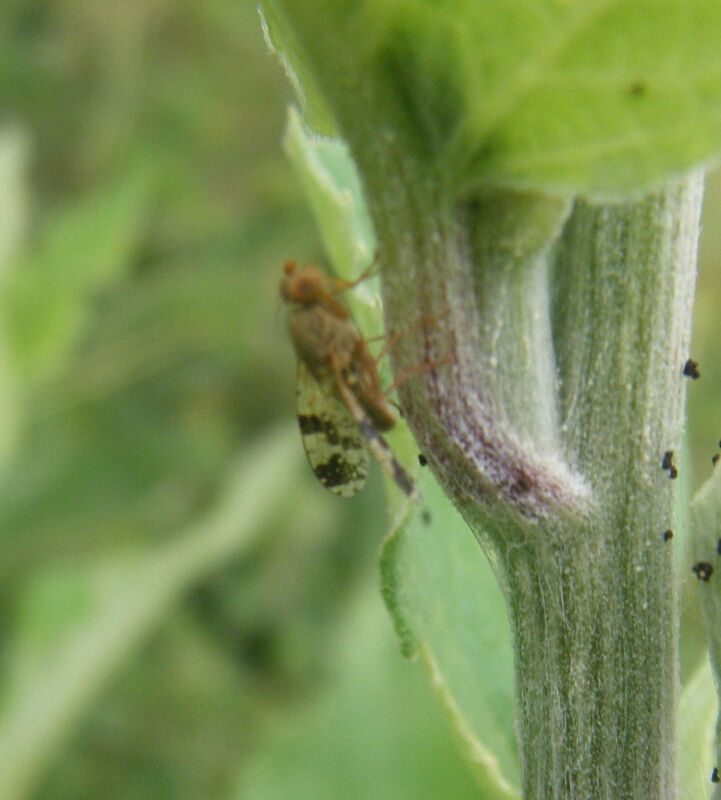 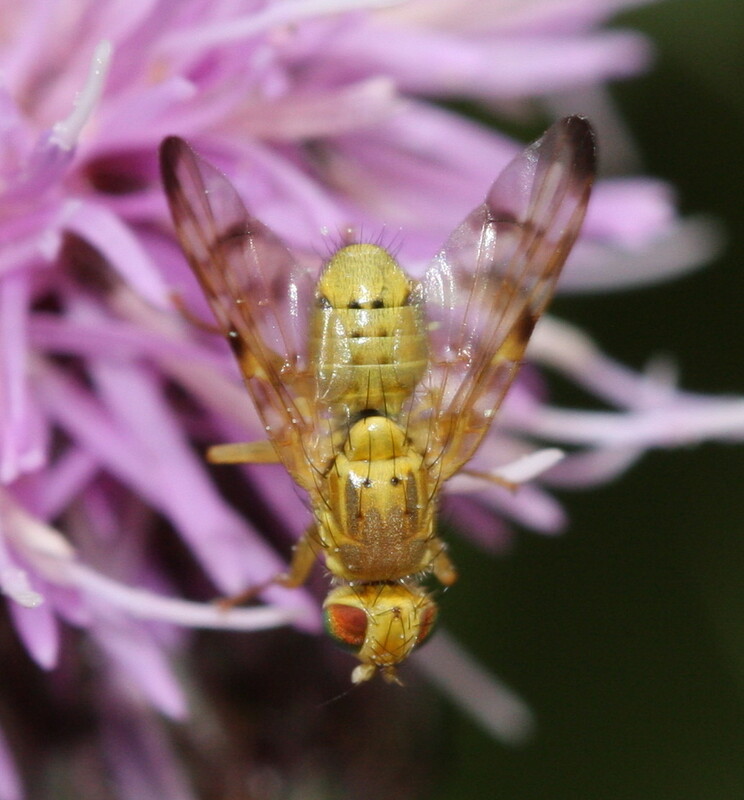 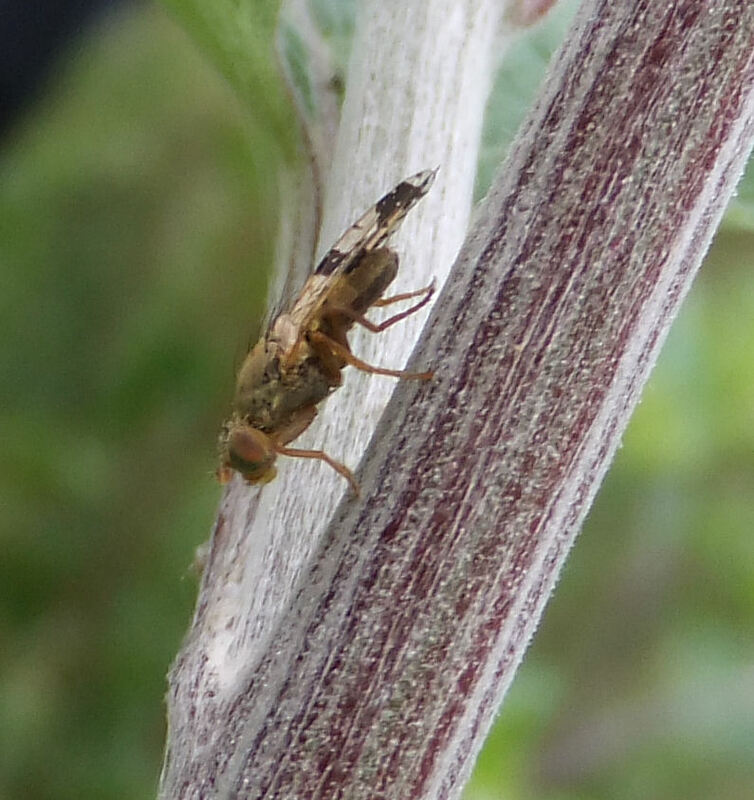 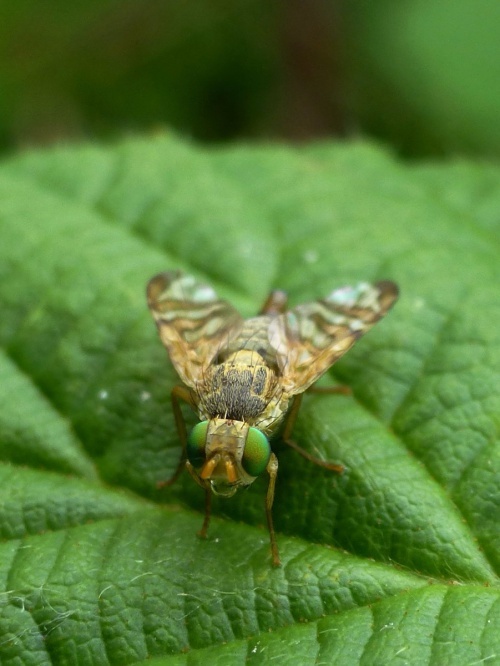 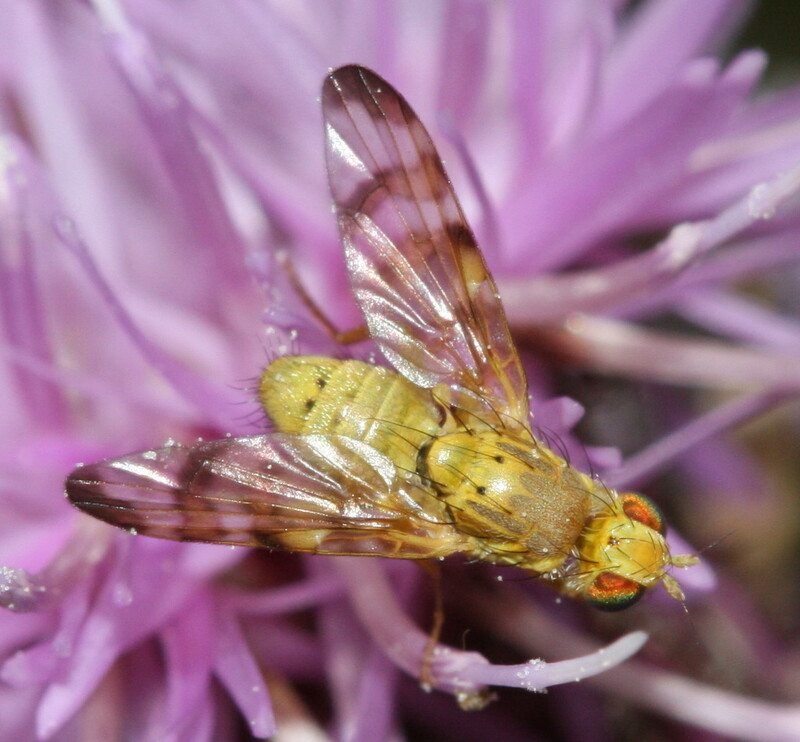 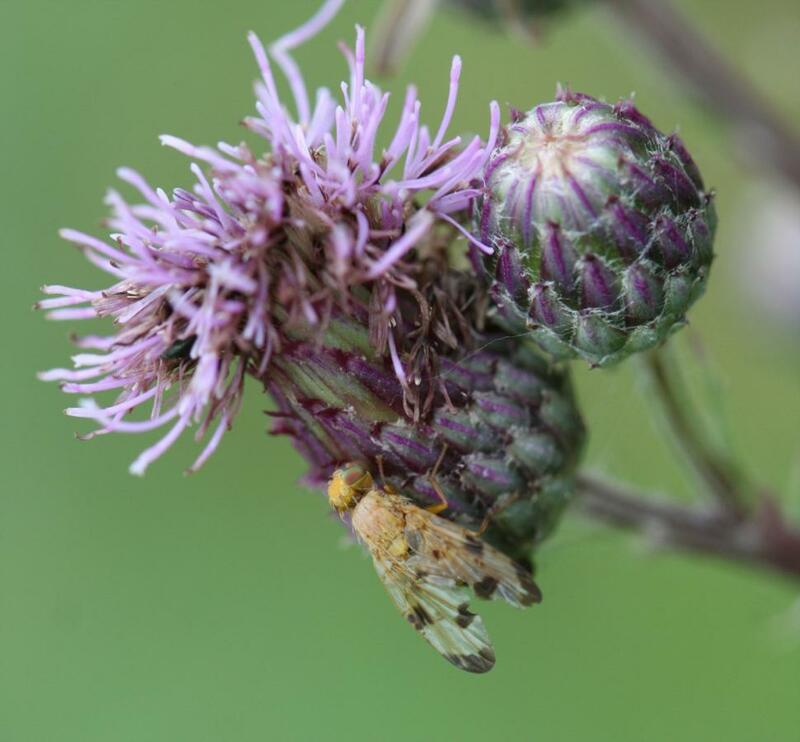 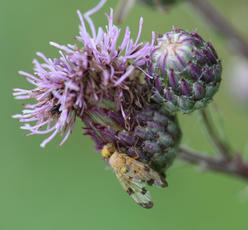 The gall fly Terellia tussilaginis is mainly pale greeny yellow in colour with distinctive brown banding on its wings. The larvae feed on Burdock and cause galls to form. Fairly frequent and widespread in southern Britain at least.